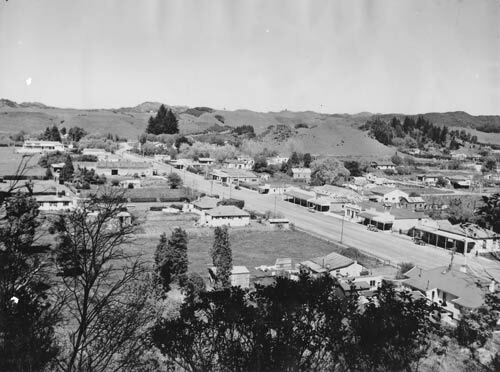 From the 1930s to the 1970s coal mining underpinned Ōhura’s economy and the township prospered. This is the main street, Ngarimu Street, in the 1950s. Shops line the broad street, with houses scattered on either side.